Top 12 locals’ picks for vegan eats in Whistler in 2016! 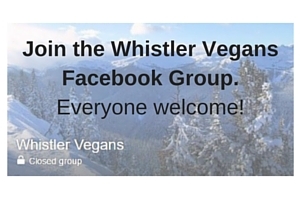 We’re often asked in our Whistler Vegans Facebook group where the best places to eat vegan in Whistler are. Whistler definitely has some stand out gems for vegan food, but other than those it can be hard to find places to eat. So I asked the locals to vote for their favourites, and here they are! Samurai Sushi – With two locations in Whistler this casual sushi café has a ton of options for vegans and vegetarian options which are clearly marked on the menu, making them even more awesome. Clearly I need to go again so I can write a review! Creekbread – Creekbread and Misty Mountain Pizza are the only pizza places in town that have a vegan pizza on their menu! Creekbread also focuses on organic and local and has a stellar vegan-friendly salad as well. Ingrid’s – Located in the heart of the village this deli has a number of tasty vegan sandwich options, as well as vegan baked goods. La Cantina – Little sister to The Mexican Corner, La Cantina offers casual Mexican food with a number of vegan options on the menu. Olives Community Market – Olives is an organic grocery store in Function Junction, that has some of the most amazing vegan desserts you will find in Whistler! A great place for getting good quality, organic veggies. Naked Sprout – Last, but definitely not least, is Naked Sprout! 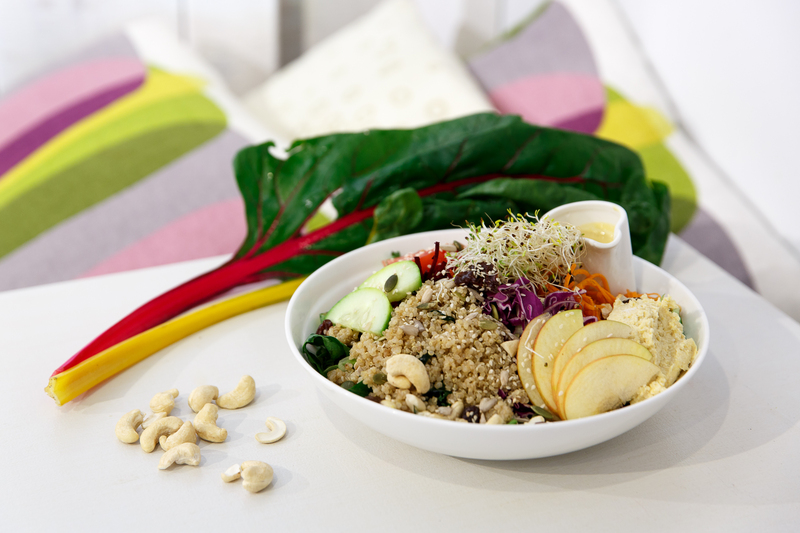 Almost all vegetarian other than the tuna, Naked Sprout café has some vegan lunch options, as well as smoothies, juices and incredible desserts made by Solfeggio. Notable mention is Aura at Nita Lake Lodge, as they have vegan options on the menu, including a vegan dessert for this coming winter!